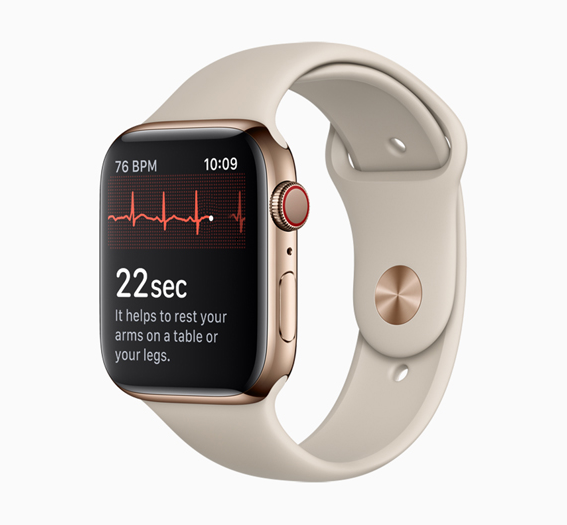 One of the standout features of the Apple Watch Series 4 is its ability to execute an ECG (electrocardiogram). It’s the first consumer product to do this, but the feature wasn’t available initially. Today, it is. The ECG feature is designed to “capturing heart rhythm in a moment when they experience symptoms like a rapid or skipped heart beat and helping to provide critical data to physicians,” which could potentially save a lot of lives. While the ECG feature is for the Series 4 only, all Apple Watches will be able to detect irregular heart rhythm and notify the user that something could be wrong with the 5.1.2 update. Again, this could potentially save lives, as it could help users catch issues before they become serious. RELATED: What Is An EKG, and How Does It Work In The New Apple Watch? All ECG information will be securely stored in the Health app for easy sharing with your doctor, while the irregular heart rhythm feature is only on the Watch. watchOS 5.1.2 is rolling out today to all Apple Watch users.